Authentic Southwest! 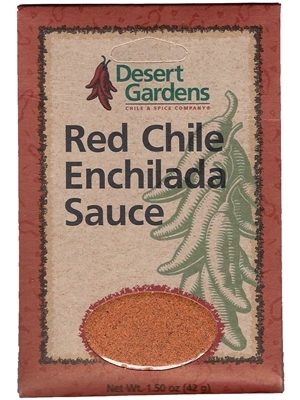 This is a wonderfully full flavored sauce - pour over enchiladas, eggs or any dish you wish! Add mix to water. Bring to a boil and simmer 3-5 minutes. Stir often. Paprika, salt, corn starch, chili pepper, dehydrated vegetables (tomato, onion, garlic), spices, maltodextrin, modified food starch, citric acid, vinegar, extractives of paprika.